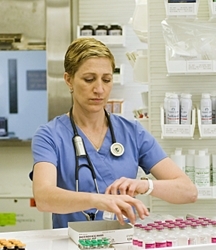 I’ve written about Edie Falco and Nurse Jackie since the very beginning of the series. It is probably my all time favorite TV series right now. Edie’s acting and the plots on Nurse Jackie along with the supporting cast is just spectacular. Now that Season Four of Nurse Jackie is in production, some of the hot new guest stars for the season are being announced and they’re all killer. It was announced a few weeks ago that Oscar and Emmy nominated actress Rosie Perez would be checking in to All Saint’s. Besides Rosie it was announced that Bobby Cannavale would also be popping up in the fourth season of the cable hit. Cannavale, whose credits include Will & Grace as well as Six Feet Under, will play a formidable hospital administrator sent by the new conglomerate that buys the financially strapped All Saint’s Hospital to improve its efficiency and profitability. One of my favorite Twitter buddies ,@woofette 30, runs AnyHourGifts.com a fun website with amazing gifts for pets and their humans. Besides loving animals, she loves ABC’s The Middle as much as I do. Last season we tweeted some of the best snippets of the Middle’s shanigans. 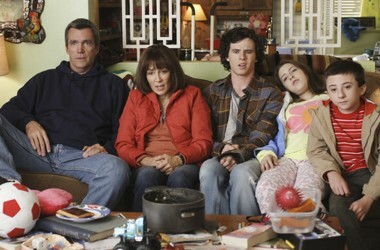 Some of the best parts of The Middle, in my opinion, are the actions of the three Heck children. There’s the oldest Heck, Axl (Charlie McDermott), who is in high school and is that perpetually bored and lazy jock who lives for football, hanging at the pool in the summer as the lifeguard and chasing girls. The middle child is Sue (Eden Sher) who more than makes up for Axl’s laziness with her can-do attitude. Even though she’s flops miserably at everything she does. She also wears braces and embodies the classic goodie-two-shoes dork personality. Then there’s Brick (Atticus Shaffer), the youngest, who’s a classic bookworm with a bad case of chronic procrastination. 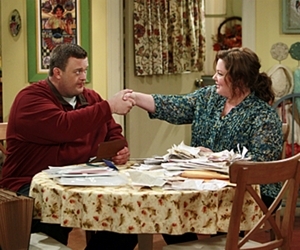 Mike & Molly star Melissa McCarthy (born August 26, 1970) actually has two husbands. There’s her real husband, actor Ben Falcone, who appeared with her in Bridesmaids (the air marshal). Then there’s her on-screen TV, Billy Gardell, 41, who plays Mike Biggs to her Molly Flynn (CBS, 9:30 p.m. ET/PT). McCarthy married Ben Falcone, a fellow alumnus of The Groundings, on October 8, 2005. She has two daughters, Vivian, born May 5, 2007 and Georgette, born March 2010. Her pregnancy with her firstborn was written into the final season of Gilmore Girls. Ironically neither one of McCarthy’s husbands were present at the recent Emmy Awards when she beat out a world class group of funny ladies like Tina Fey and Amy Poehler to win for Lead Actress In A Comedy. NEW YORK – August 18, 2011 – Syfy and WWE announced today its first ever WWE SmackDown live special, “SuperSmackdown Live,” on Tuesday, August 30 at 8-10PM/ET on Syfy, originating from the INTRUST Bank Arena in Wichita, Kansas. The Tuesday night special will feature WWE’s biggest Superstars and Divas, including World Heavyweight Champion Randy Orton®, Christian®, Sheamus™, Mark Henry®, Sin Cara™, Cody Rhodes™, Wade Barrett™, Daniel Bryan™, Brodus Clay™, Natalya™ and Alicia Fox™. 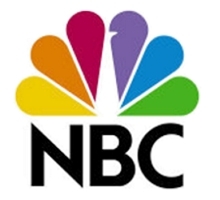 UNIVERSAL CITY, Calif. – June 6, 2011 – NBC’s popular “The Voice” will open the first of its live episodes on Tuesday, June 7 (9-11 p.m. ET) with a lively medley of memorable Queen songs from musician coaches Christina Aguilera, Cee Lo Green, Adam Levine and Blake Shelton. NEW YORK – May 16, 2011 – Ghosts and spirits inhabit more than just homes and buildings – they can also possess objects. 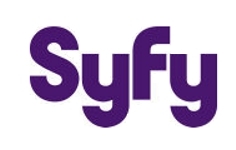 In the new Syfy reality series Haunted Collector, which will premiere Wednesday, June 1, at 9PM (ET/PT), a family of paranormal investigators hunt down haunted items bedeviling their owners. For more than 30 years, eminent paranormal researcher John Zaffis has been a collector. But not of stamps, coins or comic books. He collects objects that have become home to paranormal spirits and/or energy. Each week he and his family help out someone who’s being terrorized by something in their own home. They research the history of objects found in the home and try to identify what is causing the problem. Along with his son Chris, daughter Aimee, and paranormal investigators Beth Ezzo and Brian Cano, Zaffis, author of the critically acclaimed book “Shadows of the Dark,” tracks down haunted items ranging from Civil War era weapons to strange antiques and unusual toys. Loose lips pretty much always sink ships. 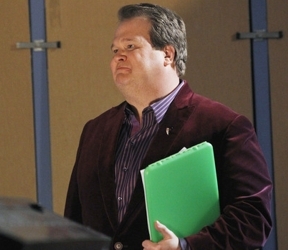 Right now there’s a big fan uproar over Glee’s Prom leaks from a former Glee extra. Nicole Crowther, 21, recently used Twitter as her platform to leak possible Glee prom episode secrets. In the process she potentially spoiled the episode for Gleeks everywhere and enraged executive producer Brad Falchuck to the point that he publicly called her out. Although my own high school prom held in the auditorium at Bishop Du Bourg High School in South St. Louis (where I was known as Karen Marie O’Connor) didn’t have a prom queen and king, I was also the victim of some loose lips. One of friends shared a big secret about a guy I had been dreaming of going to Prom with for all of senior year. She told me he was going to ask me to Prom, but then he didn’t and I was heartbroken when I found out he was taking someone else. Luckily for me, another guy that I really liked asked me to Prom instead. We went and had a fabulous time. Because our senior class had hundreds of students I managed to go the entire evening without even bumping into the guy who didn’t ask me. 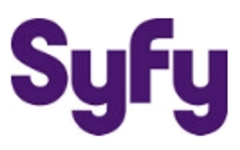 The network announced Thursday (4/14/11) that the two soap operas would end, with “All My Children” going off the air in September and “One Life to Live” going off the air in January. In their place, a Mario Batali-hosted food show called “The Chew” will premiere in September, and a health/lifestyle transformation show tentatively called “The Revolution” will premiere in January. “General Hospital” will remain on the network. Ultimately it’s always best to position the base of your ponytail where it’s most comfortable for you. There are many locations along the head where a ponytail base can be located. No rule exists against wearing a ponytail right at the hairline. In fact, Suzanne Somers used to wear her blonde ponytail from Three’s Company back from her hairline and to one side. It became her trademark look even though it was due to her hair getting burned requiring her to wear her quirky pony.